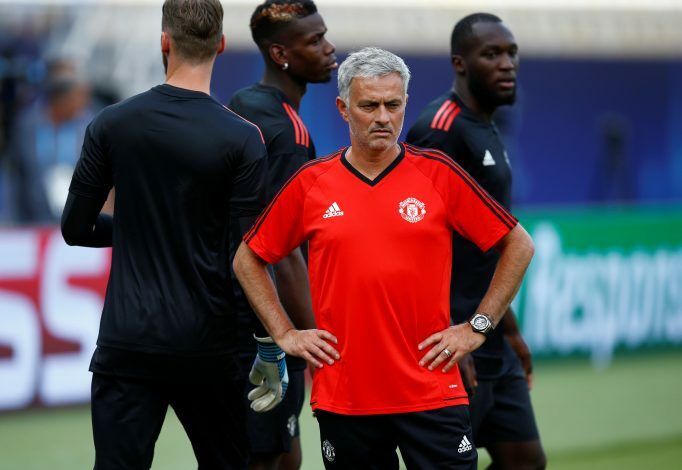 Manchester United have been the talk of transfer town since the summer window has been open for business, and Jose Mourinho looks adamant to sign as many top players as he can to bolster his squad ahead of the new season. United have already added Diogo Dalot to their defensive ranks after signing the teenager from Porto, and even confirmed the signing of Fred from Shakhtar Donetsk for a significant sum. The team is now set to sign their third player to the first-team squad, and it looks like a goalkeeper could be the next order of business. Lee Grant is set to join the Red Devils on a free transfer once his contract at Stoke City runs out, The Telegraph are reporting. The 35-year-old shot-stopper was largely second-in-command to Jack Butland at the Potters, but pulled off some inspirational saves during his time at the club. Some of those saves came in a match against Manchester United at Old Trafford in October 2016, when Mourinho’s men were unable to defeat a dogged Stoke unit inspired by the match-winning performance of Grant, who caught the eye of many in the process. The veteran goalkeeper has featured for teams such as Derby County and Burnley in the past, and is a former England U-21 keeper as well. But he probably shouldn’t expect to start very often in the red of Manchester United, considering the talent he has to contend with. The English giants have David De Gea as the undisputed first-choice custodian, followed by Sergio Romero, who is currently nursing an injury. With third-choice keeper Joel Pereira expected to go out on loan, an opportunity has presented itself for Grant. A free transfer is expected to proceed in the coming days with an option of a one-year deal, which could prove to be an important one for both player and club, considering that Romero’s injury may keep him out for a while.